Good morning not only for a new rise of sun but for new rise in our career as well. First of all I wish u all a very happy and prosperous new year. This new year brought a lot of happiness in my life as I have got my 1st government job in king banker at an age of 21 years. Here I am sharing my experience to all of my brothers and sisters. Hello everyone, I am Yogendra Singh. I belong to Allahabad, UP. 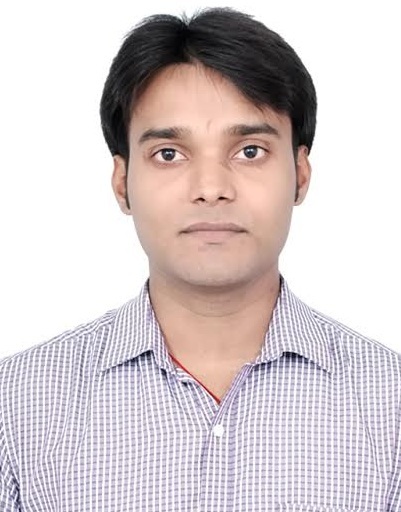 I have completed my B.Tech in ECE from Feroze Gandhi Institute Of Engineering And Technology, Rae bareli, UP in year 2013 with aggregate 74.04%. My father is a two wheeler mechanic having a small shop in my village. After passing my B.Tech, there was a huge responsibility on me to support my family as my father’s income was very low and irregular, but it was hard to find a suitable job for an electronic fresher from UPTU. All the jobs, which came across were of software companies and I don’t know abc of c or c++ or java php etc. Hence I was in a great trouble because there was my sisters marriage in in upcoming January 2013. Looking at all that I joined a local school in Raebareli as physics teacher at 11th-12th level. There I served for 8 months but I was not satisfied so I left the job. My father asked me to think twice but my decision was firm. I came to Lucknow and started preparing for banking sector as I heard that in this sector one may get a job within 6 months hence I decided to prepare for banking jobs. I started my preparation on 23 july 2014. And mine 1st paper was on 13 september that was RRB PO (although I cleared that also with 149 marks) then on 23 sept mine RBI paper was there and I was satisfied with my performance in that two papers. I used to give speed tests regularly so I was confident about question types asked in banking. I REGULARLY USED BANKERSADDA CAPSULES TO STRENGTHEN MY GA as I was from different background so I was not having any idea about banking terminologies. I learned all the BA capsules as well as I used to check daily GA update as I was not having an idea and habit of reading newspaper. Overall I attempted 172 questions in RBI Asstt Exam because my GA was still weak. Mine interview was on 19th November in regional office, RBI Kanpur. I started reading newspapers and started visiting conversation on BA as a silent observer. I always wanted to become Shruti mam’s Favourite student (it’s a closed secret ;-) ) like others but I feel that I was not popular that much. I gave my interview and was unable to answer 4-5 questions from my personal life and about city and one from banking. Overall mine interview went average. But on 31st December 2014, RBI told me that Beta ji your interview was not just an average, we are impressed with answers and want you to work with us. Really I was the happiest person on the earth that time. I thanked all of them who were with me in my hard times. I thank Shruti mam and Neeraj Sir because all I know about BA is Shruti mam Neeraj sir and their capsules. Now I know that I am on right way in my career and wish to prepare for grade B so started preparing for that from next morning. I wish next year I may be able to post same story with another tag i.e. RBI grade B.